Obtaining financing for your start-up or young business ensures you can hit the ground running and grow with minimal debt. Banks may be hesitant to extend credit to your new business, however, and you don't want to use your savings or home as collateral. Angel investors offer a solution. In exchange for a percentage of your company or profits, they provide the essential funding you need. So, where can you find local angel investors who invite risk and welcome the chance to partner in your new business venture? An organization in your hometown may exist for the express purpose of investing in new businesses. Contact those clubs and find the money your start-up needs. Doctors, lawyers, accountants, bankers and business people possess the experience and finances necessary to invest in your business. Search online for the contact information and membership list of local professional organizations. Additionally, contact your local Small Business Development Center, Chamber of Commerce and university as well as the professionals with whom you have a relationship. These individuals may be able and willing to invest or may know colleagues and clients who want to partner with you. When you approach current and former co-workers with an angel investor request, you capitalize on the relationship you share. You only need to invite people who share your values and have the personality and expertise your company needs. 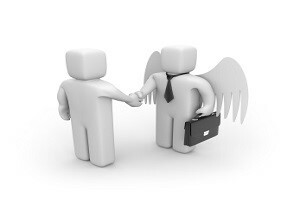 Before you start approaching angel investors, remember these four tips. 1. Seek local rather than long-distance investors. You can meet face-to-face and work side-by-side with local investors, giving your business a greater chance of success. 2. Know SEC guidelines for investors. 3. Prepare a convincing pitch. This includes a 60-second elevator pitch that prompts curiosity and a longer presentation that details your business plan, profit and loss statements and how and when the investors will receive their money back. 4. Be ready to give up some control. Your investors own a portion of your company, and they will have a say in how things are done. Are you ready to accept their input? Angel investors can be the perfect source of funding for your start-up or young business, but finding them can be difficult. Take the time to explore all of your options so you can find local investors who will partner with you.